the physical, emotional and psycho-social aspects of growing up and encourages young women and girls through life's challenges using the life cycle of a butterfly as a wonderful model of transformation. "Project Butterfly is a treasury of wisdom, and the accompanying workbook is engaging and meticulously thought out. Together they go deep in offering our daughters the strengths they will need traveling the challenging road to womanhood: a passion for learning, critical thinking and self-esteem. 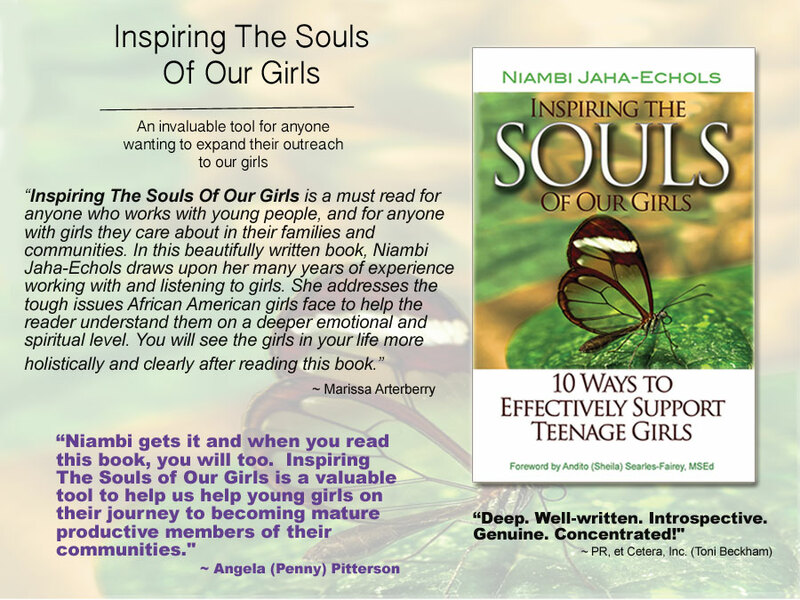 Niambi Jaha-Echols has given a great gift to Black girls.